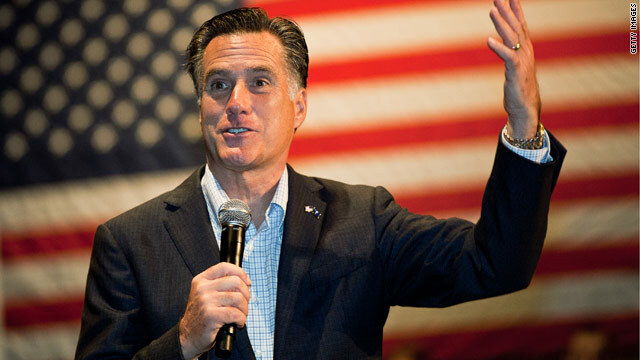 Scottsdale, Arizona (CNN) - Members of the Republican National Committee gathering in Arizona were invited to meet with Mitt Romney in private Friday and have their pictures taken with the presumptive GOP nominee, but there was a price of admission: loyalty. RNC members and state GOP chairmen were welcomed into the private reception only after signing a form pledging to support Romney as a delegate to the national convention in Tampa. All 168 members of the committee have a vote at the convention as "superdelegates" – and one of Romney's supporters on the RNC estimated that over 100 members signed the form. The Romney "delegate pledge form" asked members to sign their name and "pledge to vote for Mitt Romney at the 2012 Republican National Convention on all ballots until Mitt Romney has been nominated." Signers were given the option of declaring their support publicly or privately by checking one of two boxes. Several state Republican chairmen who have not publicly endorsed a candidate - including party leaders from South Carolina, Ohio and California - signed the pledge. Romney spoke only briefly and spent roughly 20 minutes shaking hands and posing with members in a photo line. "This is where all the power is, huh?" Romney joked as he entered the room to applause. "Thank you for all your work. Thank you for your help." Not everyone was allowed to join in the fun. All three members of Iowa's conservative RNC delegation – party chairman A.J. Spiker and committee members Steve Scheffler and Kim Lehman – attempted to enter the reception but were rebuffed after refusing to sign the delegate pledge. The dispute became heated in the hallway outside, with the Iowans demanding to know why they had to sign a form to get their picture taken with the former Massachusetts governor. Several of Romney's deputies on the committee assured the trio that they could keep their support a secret by checking the appropriate box, but they refused to do so. "They don't trust us," a frustrated Scheffler said after the argument. "I have said I will support the nominee when we have a nominee, no ifs, ands or buts." The Iowa delegates were later given the opportunity to pose for a photo with Romney at a luncheon for RNC members, after the private event for supporters. If this is how he treats his Republican counterparts, how do you think he would treat the American people?? Riddle me that? It is all about the bottom like with this miscreant. them secret too? He is keeping his "agenda" secret, so what else is happening behind closed doors. Rove tactics to the inth degree, passed on to Romney through Ed Gillespie. I don't trust this guy, at all.